Over the past, the human race has improved the treatment of the ailments and malfunctions of diverse parts of the body. In the nursing field, there have been so many nursing concepts that have been put forward to explain one or two issues. There are four key nursing concepts that have evolved over the past including health environment, nursing, and person. Here, the three concepts that are the health, person and the environment have a special destination as they keenly focus on the patient. The other concept of nursing focuses on the nurse. Different persons in the past years have been having to express their views on particular concepts at different times. In this essay, we shall be focusing on the concept of people. The reason for choosing this concept is because all the nurses found in the healthcare facilities have the common goal of delivering care to the persons (Nikfarid, et al., 2018). Here, the persons can be either the patients or other people who may be clients to the nursing facility. For example, the patient may be the infected person under the medical treatment. On the other hand, the clients may be the patient’s family members or friends. The community that surrounds the nursing facility’s location can also be included in the client’s position. Thus, the nurses must always put into family concern the preference of their patients before the care plan is put into work. The personal nursing concept has changed over time. Back in the 1840’s, the life expectancy was about 40-years. By such times, the view of the patient was not that much evolved as there were limited strategies and methodologies for effective personal health. However, through the implementation of different viewpoints of different theorists, the personal concept has been shaped. These theorists include the likes of Dorothy Orem and Nightingale Florence[ CITATION All17 \l 1033 ]. Currently, the patient, his clients, his emotions, and beliefs are taken care of before the care plan has been initiated. There are a number of ontological traditions that include the post-positivity, critical theory, human science, and the complexity[ CITATION Ali14 \l 1033 ]. In this essay, we shall only focus on three of them excluding the critical theory. Positivism: Different theorists have put forward their positive facts towards the personal nursing concept over the years. For instance, Jean Watson predicted that every person in the society has got his or her own unique demands[ CITATION Cla98 \l 1033 ]. She understood that, despite the beliefs and wishes of the patient, he or she has to be honored based on the decision that he or she makes. Through her positive view of the healing process that a person must go through, she projected several factors that needed to be undertaken for maximum health care CITATION Gor98 \l 1033 ]. They included the holistic approaches that focused on the body, mind, and the soul of the person as the emission of one approach interfered with the whole healing process. On the other hand, Florence Nightingale had her own better views on the personal nursing concept[ CITATION Cam91 \l 1033 ]. She believed that the body of the patient could be healed if the correct environment is set for the purpose. Her theory in nursing, basically, focused more on the environment rather than the person but later confirms that it is the person who has to be dealt with. If such a person is neglected, then there is no reason for the environment. Complexity: The personal nursing concept in the past used the simple application on the understanding of the human body and how it functioned. Through the understanding of this fact, the nurses of the early times could apply their understanding on finding the solutions to their patients[ CITATION McE17 \l 1033 ]. It was for this reason that the nursing theorists, including Florence and Watson, developed their theories. However, the development of the modern mechanisms of treating the sick patients has advanced the generation of these theories into confirmed truths. Currently, any theory that has to be put forward must, in addition, be accompanied by facts. The current personal nursing concepts are way more complex than the old ones as they have to be evidence-based[ CITATION Fou18 \l 1033 ]. Human science: The understanding of the human body triggered the study of the human science. This study can be traced back in the days of Wilhelm Dilthey who questioned the generation of the human knowledge from the dominated positivist[ CITATION Hom17 \l 1033 ]. However, the early understanding of the human body mechanisms triggered more theories being put forward on the care being centered on the patient. Some of these theories include the Newman’s model of health as expecting consciousness and Parse’s theory of human becoming. Others include the Watson’s human science and human care[ CITATION Sit18 \l 1033 ] and the Paterson and Zderad’s humanistic nursing among others. These theories have, from the early times, set the better understanding of the human body and gave the nurses a chance to develop the study further. The development of this concept has not only improved the lives of patients but also focused all the attention of the caregivers to their patients. Some of the ethical practices related to the concept include the following. The concept focuses on the patient’s beliefs but not the conclusions of the nurses[ CITATION Pet01 \l 1033 ]. As we have seen in the above sections, the beliefs of the patient must be considered prior to the implementation of the nursing plan. Secondly, the person nursing concept must always have the goal that both the nurses and the patients want to achieve. The nurse must have a common goal with that of the patient so as to satisfy the patient after the process is over[ CITATION All17 \l 1033 ]. Of many goals that are set by the nurses and their patients, the common one is always to retain the normal health condition of the patient. Thirdly, there are key aspects that the nurse must possess so as to be effective in their line of work. These are ethical issues as they include the creation of awareness, the attaining of appropriate skills, and the possession of the nursing knowledge management. No one is allowed to fill the vacancy of a nurse if he or she has no such skills and competence[ CITATION Cha16 \l 1033 ]. The major reason as to why these qualifications are ensured is because the fundamental option of nursing is the healing the patient. Finally, the nurse in practice must consider the clients that come with the patient and fulfill their needs as well if a need arises. For instance, the clients may need education on the prevention of the bacteria or virus that has hospitalized their patient. Here, the nurse is expected to fully educate the clients. Controversies: The controversies that I have come across while comparing the ontologies include the following. To start with, people in the past had a strong disagreement on the understanding of the human body. This fact resulted in philosopher Dilthey Wilhelm questioning the popular dominance of the positivists on the subject of generating human science. Secondly, it is very much visible that the techniques used in the earlier times were inferior to the current ones. However, it is shocking to note that these theories still persisted even though they were not evidence-based in nature. Intersections: The common intersection that can be identified in all the comparison of the diverse ontologies is that the person nursing concept is centered on the patient. Even when the traditional theories are considered, all actions and objectives were diverted to the healing of the patients. It is a common subject that is even seen in the current world where evidence-based research and methodologies are centered on the patient. 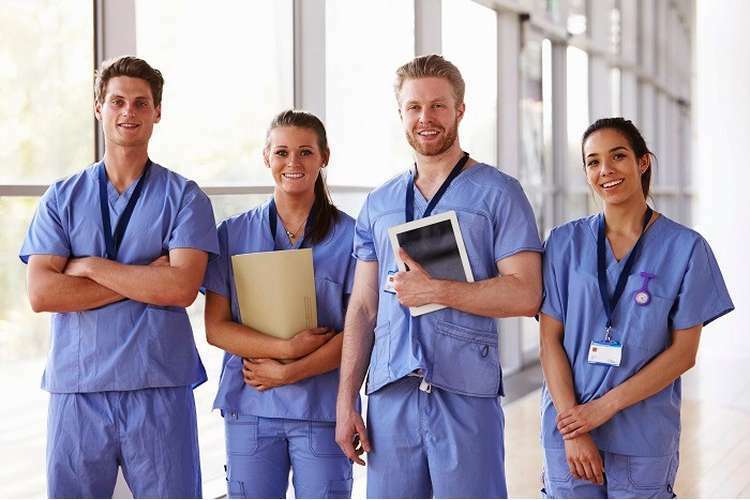 In addition, in both the traditional and current nursing methodologies, the nurses participating in the delivery of the care have some training on the nursing skills. It is considered unethical for a person to perform a nursing intervention if he or she has got no skills in that particular field. Based on my personal beliefs and nursing values, I would consider human science as the best ontological tradition to guide my nursing practices. This fact is because by understanding the human body mechanisms, I will be able to advance my nursing skills. I believe in the delivery of care that is centered on the well-being of the patient as well as his or her clients. Thus, the complete understanding of the human body will enable my colleagues and I deliver the best care services. 1. Alimohammadi, N., Taleghani, F., Mohammadi, E., & Akbarian, R. (2014). The nursing metaparadigm concept of human being in Islamic thought. Nursing inquiry, 21(2), 121-129. 2. Alligood, M. R. (2017). Nursing Theorists and Their Work-E-Book. Elsevier Health Sciences. 3. Campbell, J. C., & Bunting, S. (1991). Voices and paradigms: Perspectives on critical and feminist theory in nursing. Advances in Nursing Science, 13(3), 1-15. 4. Chadwick, R., & Gallagher, A. (2016). Ethics and nursing practice. Macmillan International Higher Education. 5. Clark, A. M. (1998). The qualitative?quantitative debate: moving from positivism and confrontation to post?positivism and reconciliation. Journal of advanced nursing, 27(6), 1242-1249. 6. Founds, S. (2018). Systems biology for nursing in the era of big data and precision health. Nursing outlook, 66(3), 283-292. 7. Gortner, S. R., & Schultz, P. R. (1998). Approaches to nursing science methods. Journal of Nursing Scholarship, 20(1), 22-24. 8. Homans, G. C. (2017). The human group. Routledge. 9. McEwen, M., & Wills, E. M. (2017). Theoretical basis for nursing. Lippincott Williams & Wilkins. 10. Nikfarid, L., Hekmat, N., Vedad, A., & Rajabi, A. (2018). The main nursing metaparadigm concepts in human resource caring theory and Persian mysticism: a comparative study. Journal of Medical Ethics and History of Medicine, 11.